Unsecured borrowing always tends to cost more than secured debt because it is a bigger risk for the company lending you the money. When you have unsecured borrowing, there’s no way to be sure that they can get their money back if you stop paying the bills. However, with secured borrowing with a house involved, there is always a way to get their money. Plus people will almost always keep paying anything related to their home versus debt which isn’t. This is where debt consolidation comes in. A debt consolidation mortgage is one where you raise money to pay off your existing mortgage and also to cover debts that you have that are unsecured. It is a route to consider if you are struggling to pay off your unsecured debts or the money you are paying off is just going on interest and not reducing the debt. This means it can take a lot longer to pay off and cost a lot more. By looking at a debt consolidation mortgage, you can dramatically decrease the amount of interest you pay on your debts. You can also be certain they will be paid off in a certain time period with a single monthly commitment to take care of – rather than various loans and credit cards with their own payment dates and systems. There are two main routes to consider when looking to consolidate debts. In this situation, let’s say you have a mortgage of £100K and debts of £50K. So you are looking for a new mortgage for £150K. This would lower your monthly payments, reduce the overall interest you pay and set a firm payment schedule. The other route is to look at leaving your existing mortgage as it is then taking a second mortgage or a secured loan for the £50K you need to clear your debts. Second charge mortgages, as they are known, aren’t regulated in the same way as main mortgages so there is a little more freedom involved. This means they can be a good option if you have some adverse details that would cause issues for the main mortgage. If you are having problems paying your existing debt in its current form, then a debt consolidation mortgage may be worth considering. It simplifies your outgoings, cuts back on how much interest you pay and ensures you know when the debt will be cleared. Your situation still plays a big part in your ability to get the debt consolidation mortgage. So it could mean you pay more over the longer time than you would have with your original mortgage. If the main aim is to reduce monthly payments, a debt consolidation mortgage can work for this. It would cut the interest you pay and cut down those monthly payments because £50K paid over 7 years will cost a lot more than the same amount paid over 20 years. You can also look to pay off your debt quicker by reducing the number of years of the mortgage and increasing the payment. You need to ensure that you are able to meet the new payment comfortably but if you can, then dropping the number of years for the mortgage could see you debt free quicker. Can you get a mortgage when declined? If one company has declined to give you a mortgage, don’t worry, that doesn’t mean the end of the road. 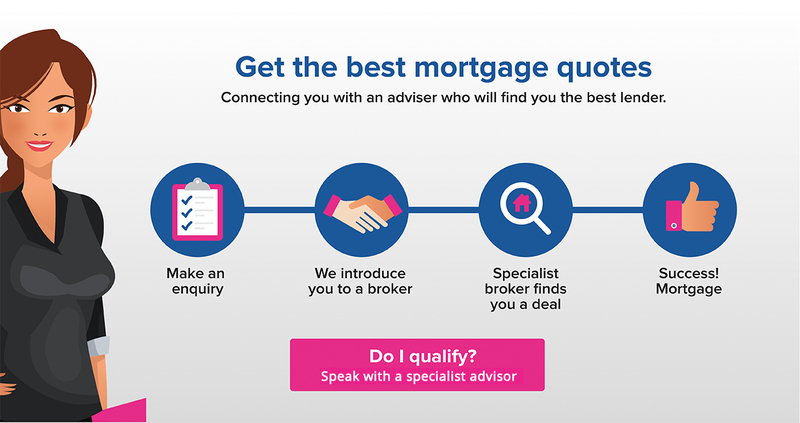 As brokers, we deal with hundreds of different products from different lenders and have specialists that offer mortgages for all kinds of situations including problems with late payments, arrears, CCJs, IVAs, bankruptcy and defaults. If you are currently on a debt management plan, a debt consolidation mortgage could still be a good option for you. Following increased regulation on the industry in recent times by the FCA, it is possible to cut your payments with these companies. If you have a home, the option might be better to take a new mortgage to clear the debt instead. Companies putting accounts on hold as part of a debt management plan can make a big red mark on your credit rating. So if this has happened to you, it might be worth clearing the debt with a debt consolidation mortgage instead and start improving your credit rating.